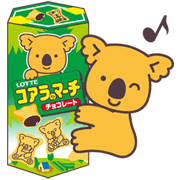 Japan's famous Koala snacks are now on LINE. 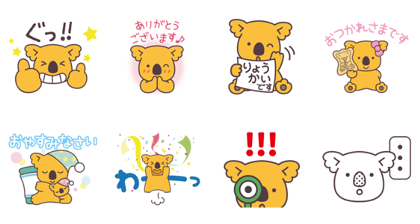 Giggling, shy, or love-struck, these heartwarming stickers will add charm to your chats. Loved by kids and adults alike, the popular cookie snack Koala's March rolls into LINE with a set of adorable stickers. 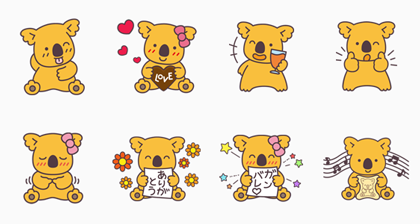 Bring the whole koala team to help sweeten up your chats today! Friend Lotte's official account to get the set for free. line://shop/detail/12107 | Available till November 19, 2018. Publisher : LOTTE | LOTTE Co., Ltd.
Next post A lot of cats. – Animated! Positive Chiling Brings You Energy!